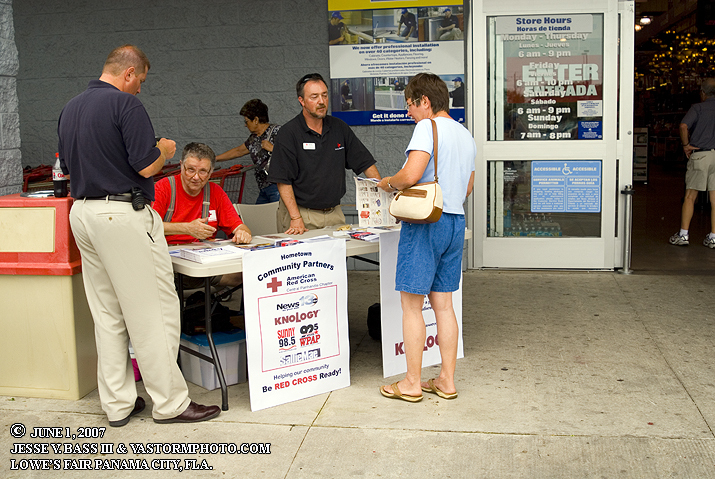 As the hurricane season began this year, Mark and I left the east coast for the Florida panhandle to do several Lowe's Home Improvement Hurricane Readiness Fairs. We would work with the Mill Works Dept. in talking with residents about being prepared and talking a lot about hurricane window protection. 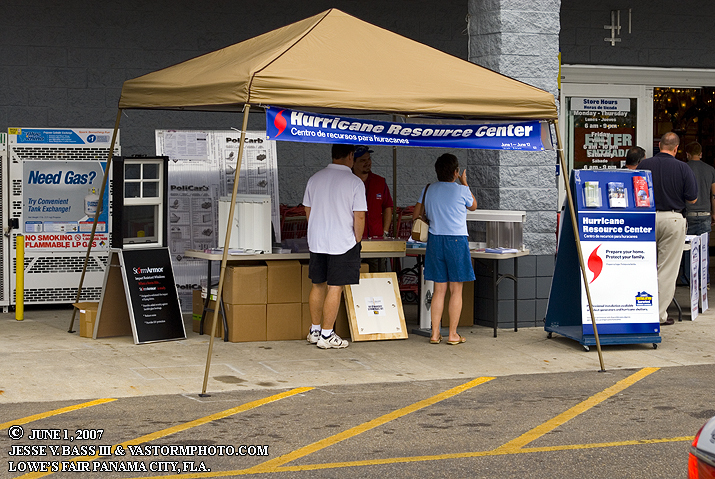 We started the first fair on June 1st, the first day of the 2007 hurricane season and as we expected, it was a busy day. Florida has a tax relief week, well 12 days, on all hurricane related items. 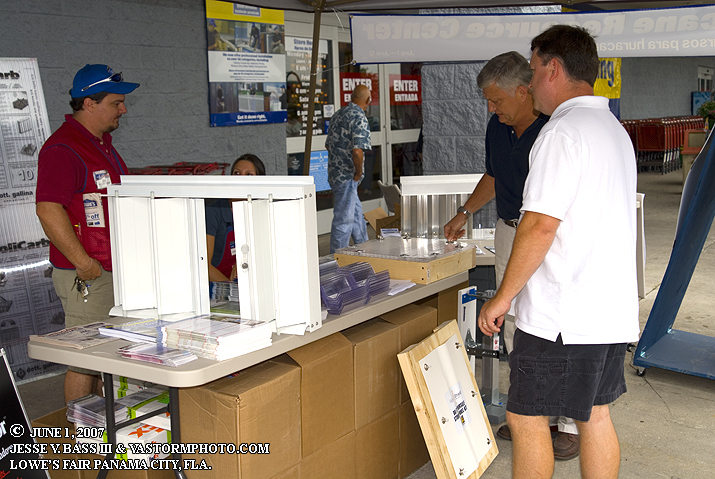 People came out in large numbers looking and talking about window protection, batteries, lanterns and generators. Seems a large focus though was on shutters and other type of window protection. We talked about the different types wit people and would help explain the importance of such as opposed to boarding up with plywood. If someone wanted to schedule a contractor to come out and measure their windows and have the shutters installed, we would walk them back to the Mill Works Dept. so they could set that up. Or show people where they could find the various other protects that would be hurricane related. As the day wore on, we found out that the NHC in Miami started issuing advisories on the second named storm of the season, Tropical Storm Barry. 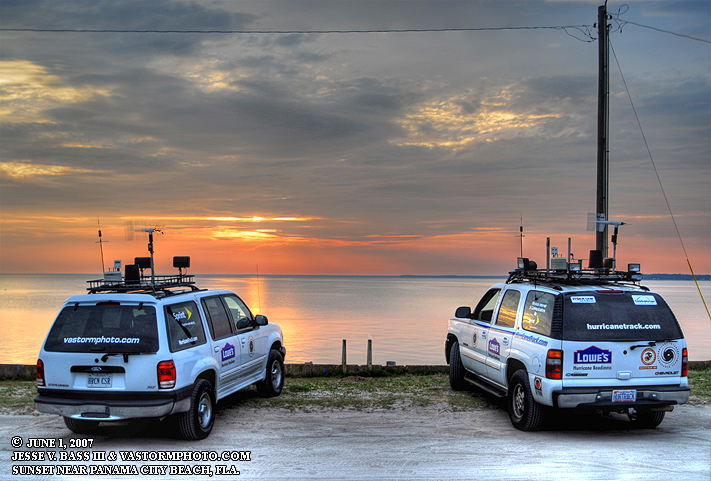 What was ironic about this is that Mark and I first worked together in 2001 in Panama City to Destin and Fort Walton Beach for, Tropical Storm Barry. I headed home from the panhandle in the early afternoon on Saturday driving through some of the heavy rains from Barry. I spent the night in Florence, South Carolina on Saturday night and headed the rest of the way home Sunday. 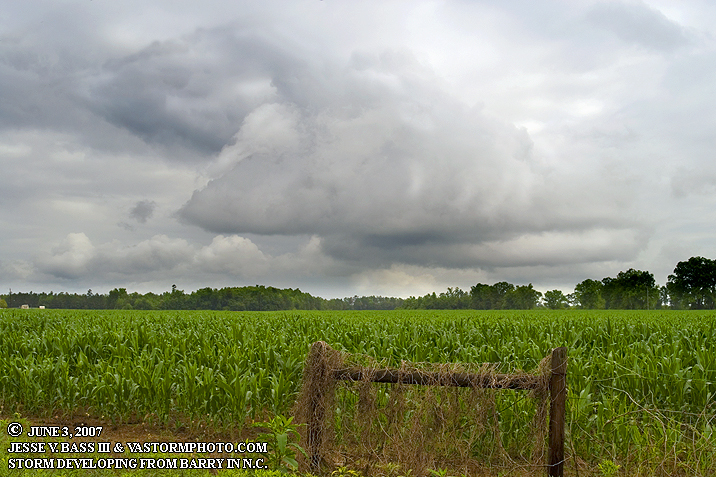 Once up and moving Sunday morning I had crossed the Carolina border and was about 20 miles or so deep into North Carolina when I noticed several areas that looked like supercell thunderstorms developing due to the passing of Barry. I found a place to pull over and shoot but by that time the cell weakened that I was watching. Barry brought much needed rain to the southeast from Florida to Virginia. It helped to fight the wild fires in Florida and Georgia. 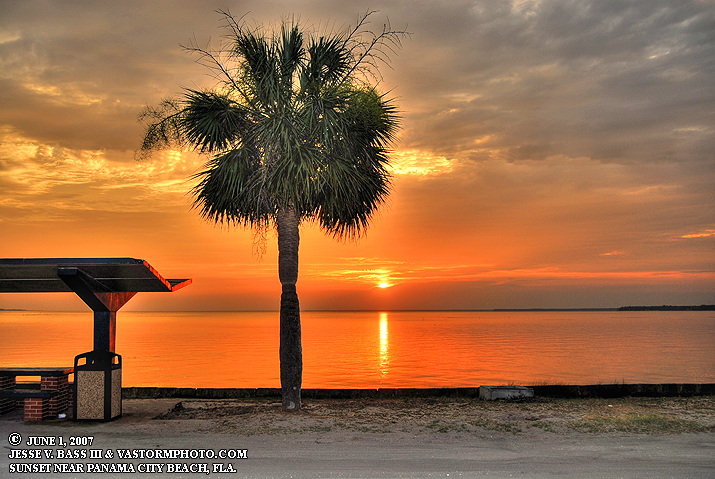 Sometimes tropical systems are not all bad. Below are the photos of the Lowe's Fair in Panama City and of the weakening storm in North Carolina. 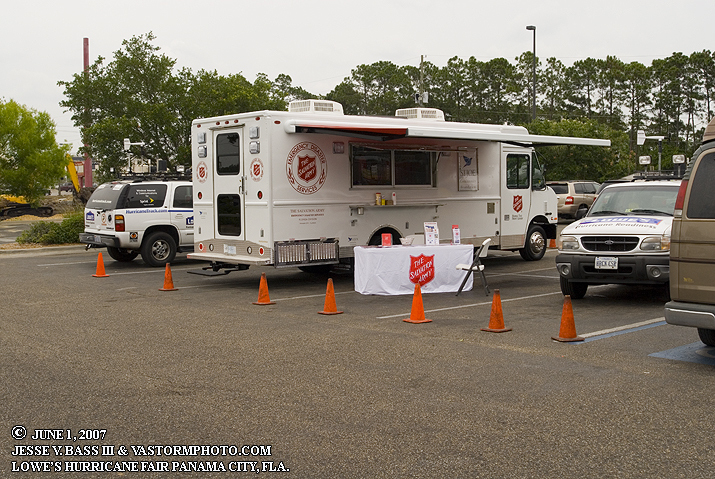 The Salvation Army was on hand at Lowe's to display their new Canteen that can feed thousands of people a day after a hurricane makes landfall. Mark with Joe from Lowe's talking about window protection. Also on hand was the American Red Cross talking about being prepared and the good work they do after a landfall or other severe weather across the United States. 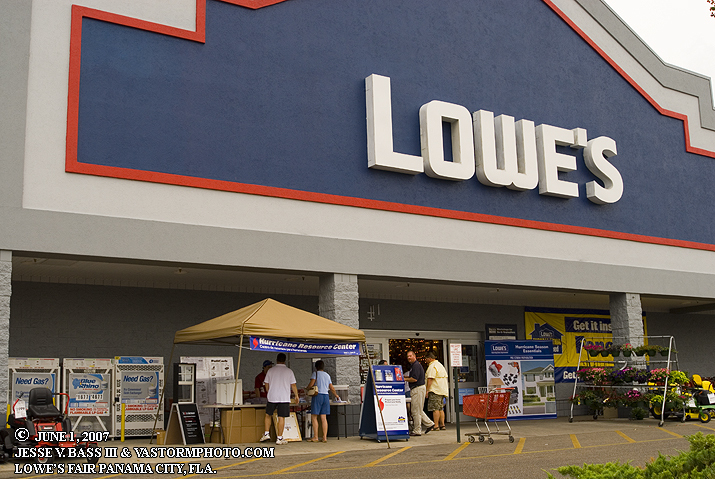 Continuing to talk about window protection and the approved products for Florida on hand at Lowe's. Mark and I went back to the area we were at in 2001 when Tropical Storm Barry was strengthening and headed for the area. We could not get a room once we reached the area in 2001, so we found this beautiful spot to shoot photos and video as the sun came up. 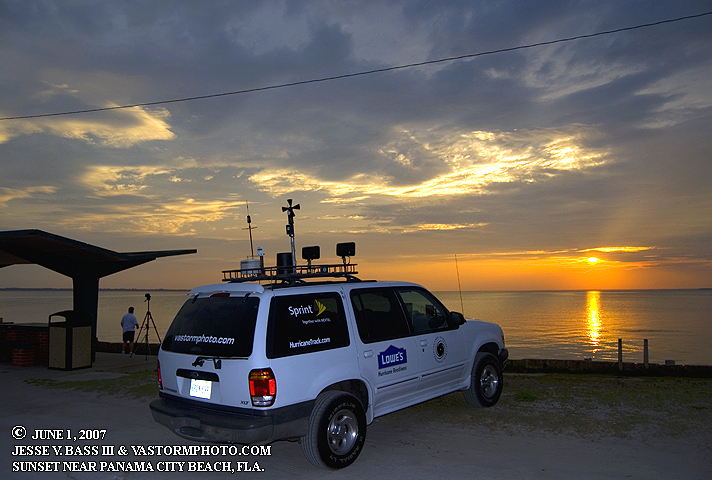 I believe that is West Bay north of Panama City. 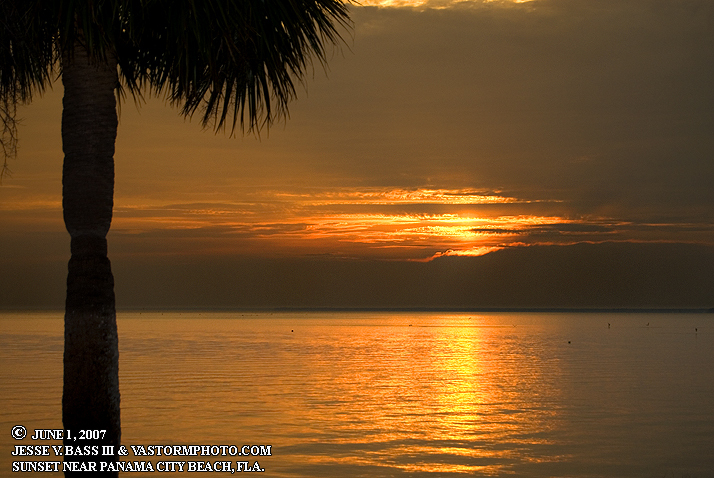 These photos are of the beautiful sunset on June 1, 2007. You can see the Barry stuff by Clicking Here! Those photos need to be re-scanned which I plan on doing one of these days. This is the weakening storm in North Carolina in the morning hours of Sunday June 3, 2007. This storm was caused by what was left of Tropical Storm Barry moving through North Carolina.